This one-day workshop will train grades 6-12 educators to teach about the U.S. Constitution, the United States Congress, and representative democracy during four periods of American History, the Early Republic, Civil War, Industrial, and Post World War II eras. 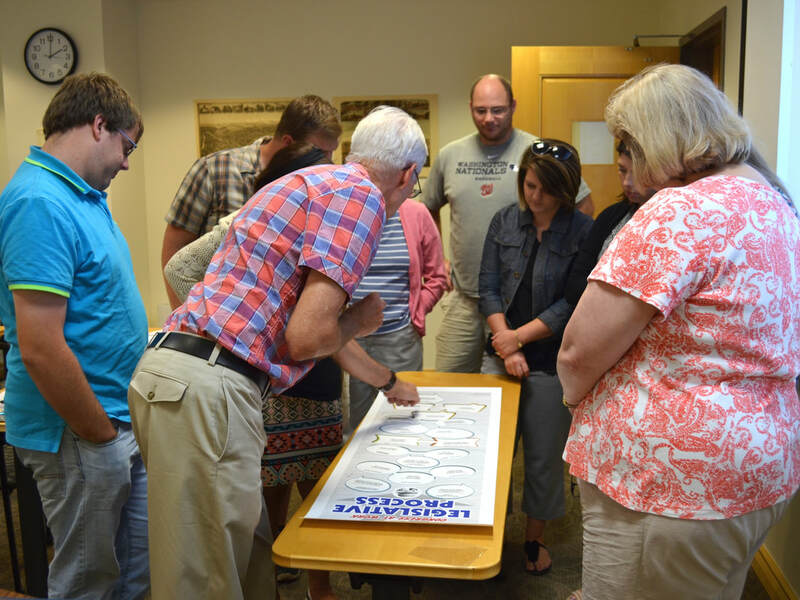 Workshop sessions will engage teachers in hands-on explorations of lesson plans, analysis worksheets, digital resources, social media, and printed facsimiles of primary sources. It will prepare attendees to utilize field-tested lessons developed by the Center for Legislative Archives and the Robert C. Byrd Center for Congressional History and Education, incorporate document analysis worksheets from the National Archives, and integrate a wide range of primary sources into classroom instruction. This course will be presented through a partnership between the Robert C. Byrd Center for Congressional History and Education and the Center for Legislative Archives at the National Archives. Support for the Byrd Center’s Teacher Institute program comes from the West Virginia Humanities Council major grant award and from Shepherd University’s Office of Continuing Education. The Teacher Institute was created in 2016 as a new Byrd Center initiative to provide professional development to grades 6-12 educators about the Constitution, the Bill of Rights, Congress' constitutional role, and the legislative process. The Institute is facilitated by the Byrd Center and presented through a partnership with Shepherd University and the Center for Legislative Archives [NARA], bringing experts in teaching about the U.S. Congress and Constitution together with educators from around West Virginia for day-long seminars exploring lesson plans and resources to implement in the classroom. Through our partnership with the Center for Legislative Archives, we are able to access a wealth of resources from our national archives and demonstrate how they can be used in the classroom to facilitate vital instruction on the core tenants of the American government. The Byrd Center's own archives help to supplement these resources and allow us to develop lesson plan guides with a West Virginia focus through the congressional collections that we preserve. Our third annual Teacher Institute went on the road, with workshops conducted in Charleston, Lewisburg, Morgantown, Shepherdstown, and Martinsburg. 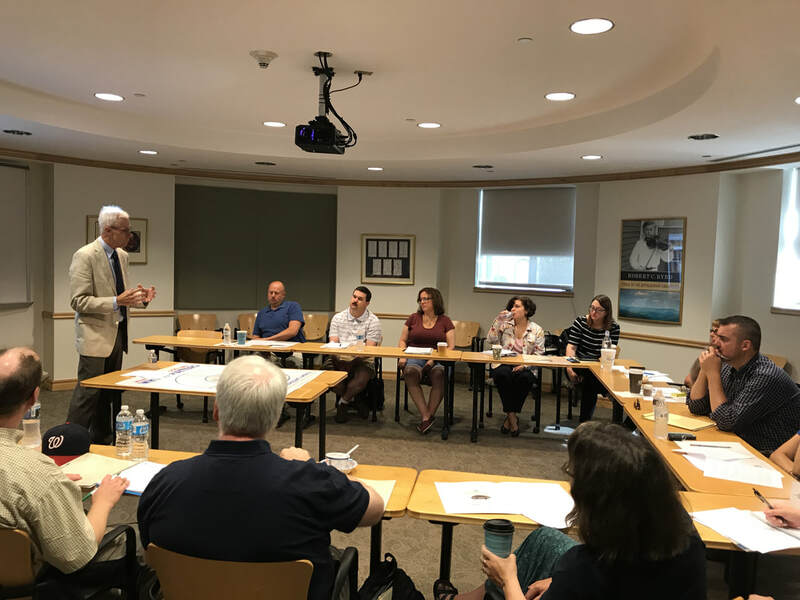 The Teacher Institute is supported by the West Virginia Humanities Council, Shepherd University's Office of Continuing Education and Lifelong Learning, and the Friends of the Byrd Center.